Dirty water is not only unsafe to drink, it’s unsafe for sanitation and hygiene. Children are most at risk and more susceptible to waterborne diseases. Diarrhea caused by unsafe drinking water, sanitation, and hand hygiene kills an estimated 842,000 people every year globally, or approximately 2,300 people per day. That is more than any other cause on the planet. Women and children, in communities without clean water, bear the burden of gathering whatever water can be found. On average, it takes four hours of walking to collect four gallons of water. That’s time a person could spend reading, learning at school, building a business, or taking care of their family. 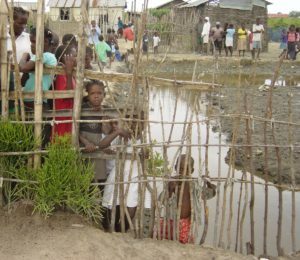 Water is a building block for communities. We’ve seen our water wells become the hub for communities where commerce, trade, and friendships flourish. $1.00 of water investment nets $4.00 in economic return. By not having to focus their time and energy collecting water, children now have the time to attend school. 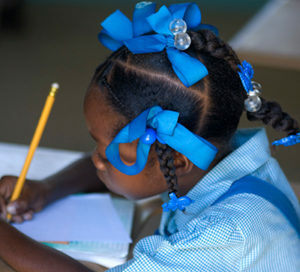 Studies have shown a direct correlation between clean water and school attendance. Not only does building wells create local jobs for construction workers, it also means communities can focus on working, farming, and building businesses. Share your campaign with friends and family and tell them why you’re raising money for clean water. People are generous, so give them the power to make a difference. Choose what type of campaign you want to run – host a dinner party, give up your birthday, run a 5K, give clean water instead of Christmas gifts or anything really. Sign up to get started here and we’ll contact you about how to make it successful. Once your campaign finishes, we’ll combine your campaign with other donations and send the money to the field to build our next water project. We will send you and each of your supporters an image and the location of the water project you helped fund. For many people, particularly those living in rural, third world nations, the journey for clean water is a daily chore. 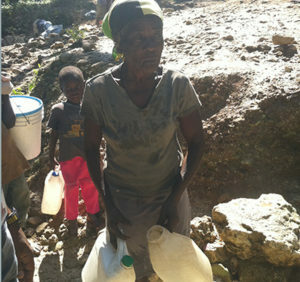 Water Life Hope representatives visit each prospective community to see first-hand the challenges the community faces. Volunteers research and experience what it takes to bring clean water home each day. During these trips, Water Life Hope representatives work closely with local community leaders and case workers to build relationships. Once community commitment and the best solutions are identified, Water Life Hope solicits work bids from local providers. With specific proposals in hand, Water Life Hope selects and engages winning bidders for the work. 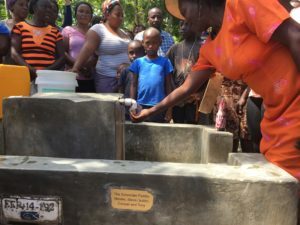 From the time a project is funded and work orders are released, wells can be completed in approximately a month, allowing clean water to fill local cups. For Water Life Hope, our gift of clean water resources is not a one-time donation but a commitment to bring clean water to communities well into the future. With each resource installed, Water Life Hope’s staff works with local community members to ensure that wells and reservoirs are properly maintained and serviced as needed. 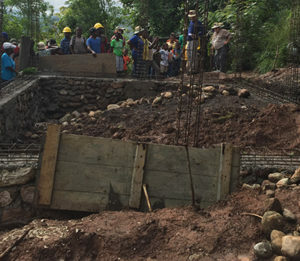 Our local partners use local contractors and workers to ensure not only that projects bring clean water, but also stimulate the community and local economy. Water projects typically take less than a month to complete once we raise the funds and get the project approved. See your dollars at work. Each donor receives notification of the clean water solution he or she has helped deliver. A girl using one one of our wells. Stay up to date on all of the progress that WaterLifeHope is making. About 2 weeks before your birthday we’ll send you an email with a link to create your campaign.